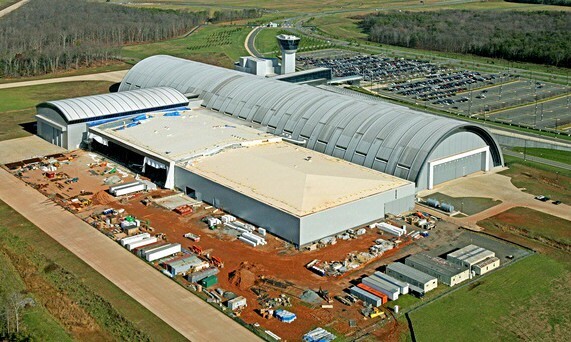 The Udvar-Hazy Center’s second phase was an addition of highly-specialized shops, including two large artifact paint booths, large artifact chemical cleaning booths, welding shop, sheet metal shop and waste treatment system as well as administrative and support offices. The electrical scope included extension of the existing electrical distribution from two 3000 Amp KV Substations and a 1200 Amp Emergency Distribution Substation with power monitoring. Special systems included fire alarm, security with access control and CCTV, 400 MHZ trunked radio and 800 MHZ SRS radio systems and a remote switching lighting system operated from secure remote locations via internet connectivity.